I recently had the great honor of interpreting on stage and backstage at The Best FIFA Football Awards 2017 at the London Palladium. It was a glamorous night with the crème de la crème of international football, hosted and presented by the British Hollywood actor and Arsenal supporter Idris Elba. This was undoubtedly an interpreter’s dream job and I was lucky enough to be selected for it because the event producers wanted one interpreter only who could translate from Spanish, French, Italian and Portuguese into English. It was a wonderful and memorable night indeed, but not without its challenges as well. Most of all, how do you keep your nerve when you have to speak on stage in front of an audience of 2,000 people at an event that is being televised around the world to millions of viewers? How do you stay calm and collected having to interpret for A-list sports celebrities? What do you wear to such an occasion? And how do you control feelings of panic and manage to improvise when you can’t hear very clearly what the speaker is saying? Well, I didn’t and still don’t really have the answers to all of these questions, all I do know is that all went well on the night. I breathed a big sigh of relief as the curtain closed, grabbed a few lucky photo opportunities with Cristiano Ronaldo, who won the best male player award, runner up Neymar and the lovely Idris Elba and then I made my way to the after-party for some well deserved celebration. As always, it paid off to take on a new challenge. 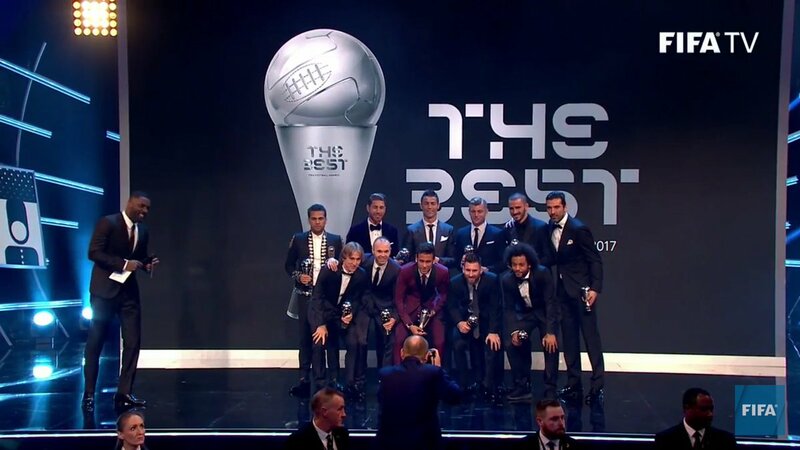 Here is a slideshow with a few shots from the event followed by a link to the TV footage of The Best FIFA Football Awards ceremony. No Replies to "Interpreting at The Best FIFA Football Awards 2017"